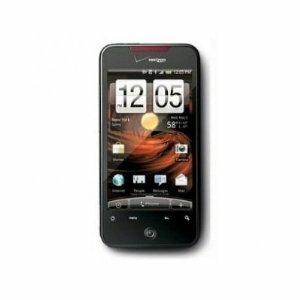 HTC Droid Incredible is designed in such a way that you can communicate easily through the touchscreen interface is available. This HTC smartphone has a wide screen of 3.7 inch, 480x800-pixel resolution buffer AMOLED. Images and video shot using the high quality camera built-in 8.0-megapixel. HTC phones also have a brain / 1 GHz Snapdragon processor, and 512 MB ​​RAM that can run Google Android 2.1 or 2.3.4 (Gingerbread) with HTC Sense UI. What's more, CDMA HTC smartphone is also equipped with Wi-Fi. HTC Droid Incredible has a capacity of up to 8 GB of memory, and can support microSD memory cards up to 32 GB. HTC Droid Incredible has built-in Bluetooth 2.1 with A2DP support power, and has a microUSB 2.0 port.